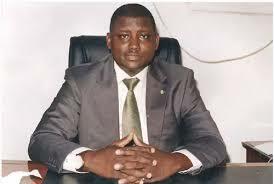 The former Chairman of the Presidential Task Force on Pension Reform in Nigeria, Mr Abdulrasheed Maina, has been declared wanted by the Economic and Financial Crimes Commission (EFCC). The anti-graft agency wants Mr Maina to explain his role in what the commission said was the fraudulent biometric contracts allegedly undertaken through him, a former Head of Service, Steve Oronsaye and two others and alleged theft of over two billion Naira pension funds. The EFCC said Mr Maina was on July 21, 2015 charged alongside Oronsaye, Osarenkhoe Afe and Fredrick Hamilton B Global Services Limited before a Federal High Court on a 24-count charge bordering on procurement fraud and obtaining by false pretence. In a statement on Monday by the spokesman for the EFCC, Mr Wilson Uwujaren, the anti-graft agency said Mr Maina had been at large and consistently shun court proceedings after he was said to have appeared before the court to answer questions over fraud allegations regarding the use of funds meant for Nigerian pensioners. The EFCC stated that it was left with no option than to declare Mr Maina wanted, asking anyone with reliable information about Mr Maina to report to the agency’s offices or any nearby police station.